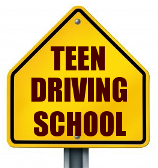 Teen Driving School Inc is a California state licensed, insured, and bonded driving school established in 1992. Our DMV lic. is E2083 (Previous E3048). Our courses are specifically designed for California teens. Our services satisfy requirements to obtain CA permit and driver's license. We are located in San Diego, CA. Our courses are valid throughout the entire state of California. Private, individual lessons. You can choose a female or male instructor. All training cars carry $500,000 insurance and all cars have dual brake systems. Upon completion, we issue DMV DL certificates. We guarantee all driving lessons available within few days. Our curriculum has been approved by the DMV. Classes are offered on Saturdays and weekdays. We also provide classes during Christmas, Easter, and Summer Vacations. The course is self-paced. Computer grades the tests. Results are known instantly. Students may retake the tests as many times as needed in order to pass. Free certificates shipment.